Richard Davidson is a well-known and much-admired scientist at the University of Wisconsin, Madison. His work on the neurobiological effects of meditation, particularly that of Tibetan Buddhist monks resulted in Time Magazine naming him one of the world’s most influential people in 2006 and the local Madison Magazine naming him Person of the Year for 2007. In the past year or so, Davidson has twice spoken about his research in public venues, and on both occasions activists handed out leaflets as people arrived that called attention to his experiments into the neurobiology of fear and anxiety using rhesus monkeys and the contradictions inherent in his claim of compassion and concern for all beings. At both events, the leaflets led to Davidson making specific claims about his use of monkeys and about Buddhism. 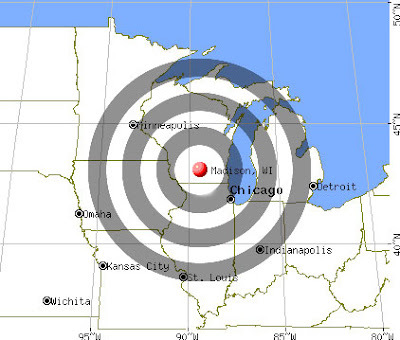 In a previous essay, I addressed a number of claims he made during the first presentaion. This is a reasonably accurate transcript of the comments he made on this topic on November 7, 2007, at the Madison Public Library in a program titled “How the Brain Changes.” An audio recording is available here. It’s actually, I feel, wonderful that people know that I do do some research in nonhuman primates, it’s not the bulk of what I do, I have that work, I continue to do that work, and I’m proud of that work, and I really welcome the opportunity to directly address it. I’ve been, I have had many soul-searching discussions about this issue with myself, with my colleagues, and with His Holiness the Dalai Lama. One of the things which is the most important issue for me is what one’s motivation is to do the work that one’s doing. Actually this is something the Dalai Lama has always asked [about] any kind of work, and my motivation is really to eliminate suffering, and that is why I do my science and why I’m dedicating my life to [it]. In addition to the research that we do on meditation and always compassion, we also study devastating disorders like depression which is responsible for extraordinary morbidity and fatality across the world. There are untold numbers of suicides daily in this country as a function of these disorders. A recent epidemiological study that was done in Scandinavia found that just asking people how happy or unhappy they are in a large epidemiological study predicted over a 20-year interval the extent to which a person would commit suicide with a tenfold increase in suicide rates among people who consider themselves to be very unhappy. So these are issues which are really profound, they affect people’s lives and they are responsible for devastating suffering on the planet to the extent that the work that we do can help develop new interventions which I firmly believe they can and will and are currently doing. That is something that I think is critical in this program of research and the work that we do in nonhuman primates has been done with noninvasive methods to image the brain, we are actually one of the pioneers in developing methods to study the brain in nonhuman primates in ways in which actually don’t create suffering which are the same methods which I subject myself to all the time. Modern brain imaging methods we have one of the few systems in the world today for doing that kind of noninvasive imaging of the nonhuman primate brain. So I believe this work is really important, it is done with the intention of relieving suffering. I also do it in a way in which I try to muster all of the gratitude I can for the animals that participate in our research and if you bring that quality to the work that you’re doing I think it transforms it and so I appreciate the sensitivity that this issue raises, I applaud the efforts of people who are working to relieve suffering throughout the animal kingdom and I welcome the opportunity to address this and to underscore the fact that this work is done to actually eradicate suffering on the planet, so I thank you for listening to that. [A question from the audience] I’d like to follow up on what you just said given the fact that you’re involved with Buddhism and compassion and [unclear] the right to induce pain or kill sentient creatures [unclear] you said that you do experiments on monkeys at the primate center that you do noninvasive work, well my understanding is that you’ve done experiments with Dr. Ned Kalin, and I know that Dr Ned Kalin does a lot of basic brain experiments on monkeys who have been [unclear] restrained for extended periods of time, who’s amygdala is burned and destroyed with acid. These are sentient creatures who should be living in their natural environment and frankly it causes me great pain to think of their suffering. Well, thank you for that articulate statement I can tell you that we have been pioneers in the development of noninvasive methods to image the brain. To the extent that there is suffering that occurs in the context of the research that we do, we believe that the motivations that we have for doing the research are critical to take into account, we do everything we possibly can to minimize both of the animals, the nonhuman animals as well as the humans. The experiments that we do in humans require a great deal of sacrifice as well and we can have a very extended discussion here and take the rest of the time on this issue, I think there are probably other questions, but I think the most important thing is the attitude of the scientist who is doing this work, the motivation the scientist brings to the task and also the extent to which gratitude is expressed in the act of doing the work that we’re doing which transforms the nature of one’s relationship with the monkeys that we study. You know, I think in the best of all possible worlds it would be wonderful to have outdoor enclosures where the animals are not within cages, there are places where the climate permits where that kind of work can be done, it’s not possible to do it in Wisconsin because of the climate and if I had my druthers I would much rather have that kind of facility, but given, sort of the circumstances that present themselves, the opportunities, and the difference I believe we can make in terms of treatment for dramatic suffering that exists on the planet, I’m proud of this work and I think the good that it does so far exceeds the minimal amount of suffering that we create and I think that some of the comments that you made are comments that are made, frankly, for lack of knowledge of the details of this work, and if it really is of interest you should actually look at the papers which are all available free online and take a careful look at what it is that’s actually done. Davidson appeals to his motivation to do good and his good intent as justifications for his actions throughout his statement. It’s a hackneyed aphorism but appropriate to point out that the road to hell is paved with good intentions. In considering this defense, we should keep in mind past instances when the same justification was employed. The Nazi’s experiments were not intended as torture. This is an important point to bear in mind when considering Davidson’s work and his claims. The Nazis experimented on unwilling subjects in the pursuit of medical treatments and cures for those they valued more than those who they used. According to Cohen, they were, in some cases, successful in their pursuit of benefit. But few people would be willing to claim that the experiments – no matter the possible or even actual benefit – were justifiable. They were heinous. They were depraved. They were unethical and immoral. Yet, Davidson defends himself just as the Nazi doctors and scientists did. The harm he does is cancelled out by the potential benefit, or so he claims. This is the identical claim used by the U.S. government in its radiation experiments on unsuspecting human subjects and in all secret potentially harmful experimentation that has ever occurred. It is only and precisely the complete discounting of an actual individual’s interests and the conflating of a (sometimes hypothetical) larger population’s interests that allows doctors, government, and scientists to use us as they wish without pause or concern for our personal preferences not to be harmed. We should keep in mind the company in which Davidson places himself. Experimental Subjects Twelve experimentally naïve adolescent colony-born rhesus monkeys (Macaca mulatta) were the subjects. Animal housing and experimental procedures were in accordance with institutional guidelines. The animals were housed as pairs; each experimental animal lived with a control animal. At the beginning of the study, subjects were, on average, 34.4 months of age. Six randomly selected males underwent surgery at an average age of 35.6 months. Six nonoperated male control animals were used for comparison, since we previously demonstrated that the nonspecific effects of the surgery do not significantly affect the behavioral and physiological measures of interest. Surgical Procedure Prior to surgery, atropine sulfate was given to depress salivary secretion, and dexamethasone was given to reduce potential brain swelling. Animals were pre anesthetized with ketamine hydrochloride, fitted with an endotracheal tube, and maintained on isoflurane anesthesia. An experienced surgeon made an opening in the frontal bone posterior to the brow ridge to expose the frontal cortex. Both hemispheres were lesioned in a single procedure by lifting the brain to expose its ventral surface. Using microscopic guidance, electro-cautery and suction were applied to the targeted brain area. Threat-Related Anxiety To assess defensive and anxiety-related behaviors, all animals were tested before and after the lesions were made using two different paradigms, each with three different conditions (alone [A], no eye contact [NEC], and stare [ST]). Control and experimental subjects were tested at the same time, and the mean time between the lesioning procedure and the first postsurgical behavioral test was 4.3 months. The first test was conducted using the classic human intruder paradigm (HIP), consisting of 9-min periods of A, NEC, and ST. As part of a separate study, the second test used a modified HIP paradigm. In the classic HIP, during the A condition, animals were placed alone in a test cage for 9 min. This condition predominantly elicits coo vocalizations and locomotion. This was followed by the NEC condition, in which a human entered the test room, stood motionless 2.5 m from the cage, and presented her profile to the monkey while avoiding eye contact. The NEC condition elicits freezing behavior. After NEC, the intruder left the test room for 3 min and returned for the ST condition, during which the intruder stared at the monkey with a neutral face 2.5 m from the test cage. The ST condition elicits defensive hostility and barking, an aggressive vocalization. The modified HIP consisted of 20 min of each of the three conditions (A, NEC, ST) on three different days. The classic and modified HIP paradigms were repeated for all subjects after the experimental animals were lesioned. Assessing Snake Fear Subjects were adapted to the Wisconsin General Testing Appa-ratus (WGTA) test cage, and their food preference was determined. Subjects were taught to reach for their preferred rewards on top of the clear plastic stimulus presentation box. Subjects were presented with two of their most preferred foods randomly placed on the distant left and right corners of the clear plastic stimulus presentation box, requiring the subjects to reach over the stimulus for the food rewards. The box contained one of four stimuli: 1) nothing: empty box; 2) tape: roll of blue masking tape; 3) rubber snake: curled black rubber snake 120 cm long; and 4) snake: live northern pine snake (Pituophis melanoleucus) 170 cm long. Subjects were tested for 1 day, during which each stimulus was presented six times in a pseudorandom order. The real snake was never presented during the first five trials and no item from either the snake or the non snake stimulus categories was presented for more than three consecutive trials. Each monkey received the same order of stimuli. Each trial lasted 60 seconds regardless of the subject’s response, and the inter-trial interval was 45 seconds. Latency for the animal’s first reward retrieval in each trial was used for analysis. We should also keep in mind that the monkeys Davidson uses are born into a captive environment known to induce mental illness and that all the monkeys, or a significant portion of them, are sick all the time. This is the baseline suffering he adds to in his own unique way. Davidson is an ignoramus. And worse, he’s an ignoramus who people trust and believe. No matter the climate – balmy or tropical – every monkey used in the sort of studies Davidson does and in essentially all others, are kept in small barren cages. Davidson either doesn’t know this, in which case he speaks about something he has no knowledge of, or else, he was just telling the public what he imagined they would like to hear from a Buddhist initiate, a man of compassion, a personal friend of the Dalai Lama, or a Person of the Year. 6. “I’m proud of this work and I think the good that it does so far exceeds the minimal amount of suffering that we create and I think that some of the comments that you made are comments that are made, frankly, for lack of knowledge of the details of this work, and if it really is of interest you should actually look at the papers which are all available free online and take a careful look at what it is that’s actually done. “The minimal amount of suffering.” This is always what one hears from those who don’t have to do the suffering. Suffering is a relative term; it is always greater for the one enduring it or being subjected to it. This discounting of others’ pain and fear is grotesque and monstrous. What kind of person would choose to spend their life frightening animals? What sort of early experiences must they have had that contributed to their decision to live the life of a monster? Did they watch and thrill to see an older brother torment a kitten or burn ants with a magnifying glass? And did they do these things without any sane adult catching them and instilling some modicum of concern for others in them? We can only wonder, but the fact remains that some people have chosen to spend their lives hurting and frightening others. And what does this say about the society we live in? Good and bad, right and wrong, these seem to be relative terms that have little real meaning. A case in point is the Karl R. Zurn family of Burlington, Vermont. Karl Zurn, an electrical engineer, started Med Associates Inc. in 1971. This triadic design has been used for more than 30 years to study the impact of stress controllability on a variety of behavioral as well as physiological indices (Current Protocols in Neuroscience, Feb 2001, Supplement 14). 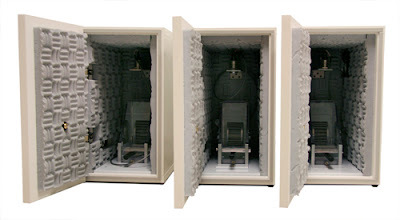 Each of the three wheel turn chambers is housed in its own sound isolation cubicle. This feature optimizes acoustic, visual, and olfactory isolation between subjects. Extending from the end of each wheel turn chamber is a holder to securely restrain the tail. Chambers are completely removable for easy cleaning. 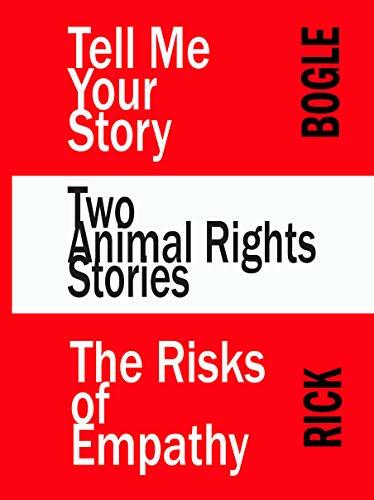 Animals may be assigned randomly to "Escape", "Yoked-Aversive Stimulation " and "Yoked-No Aversive Stimulation" categories. 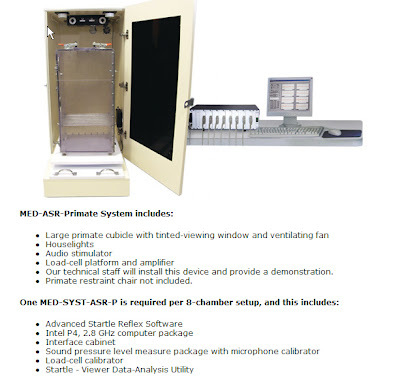 Aversive Stimulators, a MED-PC® Interface package, and software must be ordered separately. 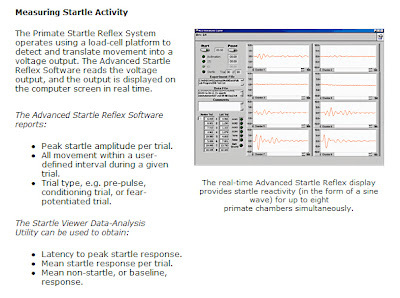 The programming flexibility of MED-PC®IV software permits any programmed contingency across animals. I wonder whether the girls sing about “Yoked-Aversive Stiulation”? Now, there are lots of companies on the internet selling instruments to torture animals, so why would I single out the good Zurns to criticize? 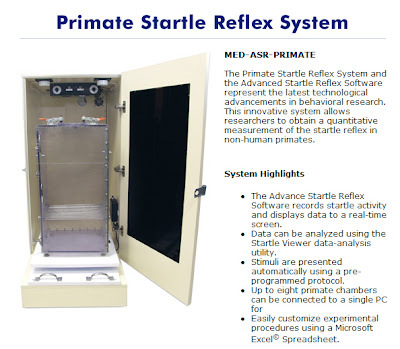 About a month or so ago, someone posted a link to Med Associates’ new “Primate Startle reflex System.” It is a particularly hideous device, co-invented by the Zurns, David Amaral, and Elena A. Antoniadis. I recently went back to the site because I wanted to call readers’ attention to the reality of the primate vivisection industry as illustrated by the tools of the trade. 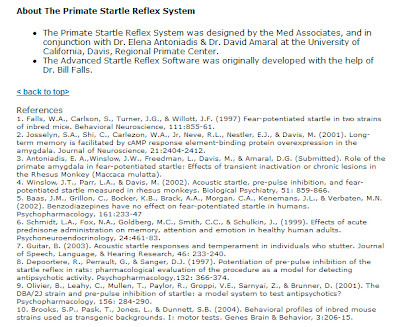 The page detailing the Primate Startle Reflex system is gone. It used to be at http://www.med-associates.com/new_prod/primateStartle.htm, but that’s now a dead link. Perhaps one of the many lurkers on primfocus alerted the Zurns that activists might be looking at the page, so they killed it. Or, maybe (Oh, right) its just a glitch. See too: “Role of the Primate Amygdala in Fear-Potentiated Startle: Effects of Chronic Lesions in the Rhesus Monkey.” Elena A. Antoniadis, James T. Winslow, Michael Davis, and David G. Amaral. Journal of Neuroscience, July 11, 2007. When I first learned about the primate labs, I thought that the differences between those who worked in the labs or supported them and those who were working to close them was a simple matter of differences in honest opinion. Like past arguments over the use of Africans as slaves, it seemed to come down to whether or not anyone other that a human (or a white land-owning male) was deserving of some legally enforceable, stipulated set of basic rights. My error was based on the notion that honest people can have honest disagreements coupled with my then naïve view that the people working in the labs are as honest as most people. In 1997, a year-long saga ensued over the fate of about 200 monkeys owned by the Wisconsin Regional Primate Research Center housed at the Henry Vilas Zoo in Madison. Shortly afterwards, I wrote an essay detailing some of that year’s events. The Vilas Monkey Debacle and subsequent scandals involving the primate center make it plain and clear that primate experimentation attracts a subset of individuals lacking in some characteristics common to the public at large. Because we expect people to be fundamentally honest, it is easy for the primate researchers to consistently hoodwink the public and our policy-makers. A partial chronicle of a few of the Vilas monkeys’ lives prior to their unforgivable betrayal by the primate researchers and the University of Wisconsin-Madison is contained in chapters three and four of Peacemaking Among Primates by Frans de Waal, originally published in 1989. Excerpts here and in subsequent Vilas essays are from the 1996 Harvard University Press paperback edition (pp 88-169.) Before quoting him, let me be clear: de Waal shares the responsibility for the torture that the Vilas monkeys and their progeny endured and continue to suffer. 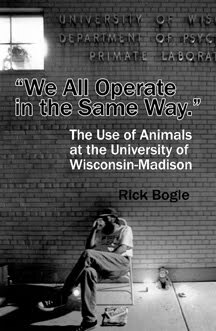 In some ways, because of his personal intimate knowledge of these animals’ lives, his guilt is of a darker more disturbing kind than the guilt of the Wisconsin vivisectors who have never pretended much concern for the animals. When the initial story about the monkeys broke in the local press, there were three colonies of monkeys at the Vilas Zoo, two rhesus macaque colonies of 40 to 60 animals each and a colony of stump-tailed macaques of about the same size. According to de Waal, one of the rhesus colonies was among one of the last groups to be trapped in India and shipped to the U.S. prior to the Indian government’s ban on monkey exports. According to Deborah Blum in The Monkey Wars (Oxford University Press, 1994. p 120) the ban was enacted when India (and Bangladesh) learned from U.S. activists that the U.S. military was using the monkeys in radiation experiments, a violation of formal agreements with the U.S. that the animals would be used in medical research. de Waal says that one of the rhesus colonies had been captured in Uttar Pradish, a state in the Himalayas in northern India. 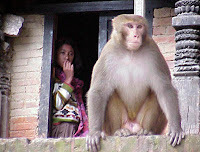 The monkeys found there are commonly seen in the towns and villages living commensally with the humans. Following Jane Goodall’s (at the time) controversial method of identifying animals, de Waal named the monkeys he studied rather than assigning them identification numbers. 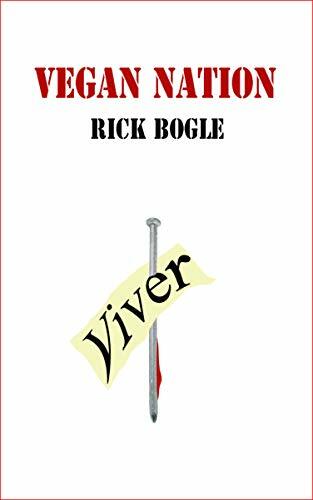 He writes about the O-family: Orange, Oona, Ommie, and Orkid, and members of other families like Ropey, Beatle, Heavy, Kashew, Gray, Hulk, Mopey, and many others as he details their relationships and political maneuverings. 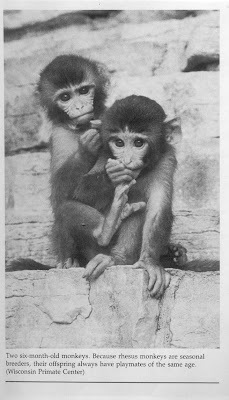 The monkeys at the Vilas Zoo were observed and their behavior recorded and analyzed almost daily from the time they arrived in 1972, until they were shipped to Louisiana in 1998. They were the most carefully observed group of monkeys in the world. But, when it was discovered that they had also been the victims of the primate researchers’ repeatedly broken promises to the Zoo’s owners (Dane County and the taxpayers of the county), the university acted swiftly to send them to another lab and to raze the building that had housed them for two decades. When I first wrote about the Vilas monkeys I hadn’t understood the events leading up to the formal agreement between the university and Dane County safeguarding the monkeys. I had thought that the agreement had grown out of public protests and pleas to protect the zoo monkeys from the experiments occurring to other monkeys just a short distance across town at the primate center. It turns out that the public protests and reasonable letters of concern may have been insufficient in and of themselves. The catalyst for the policy was probably the vandalism that occurred at the zoo. Apparently, over a period of months, repeated graffiti critical of the zoo and its willingness to allow researchers to harvest monkeys from the zoo appeared on the monkey house to the great embarrassment of those who claimed to actually like and respect animals, as most zoo officials are wont to do. 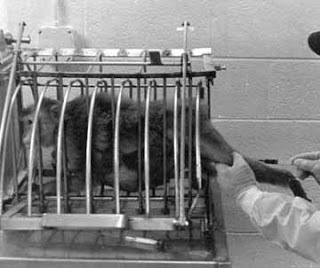 Over the next months I’ll be writing periodically about the Vilas monkeys and things that happened during the university’s year-long campaign to get rid of them once their lies were exposed, once the public learned some of the ways the animals were being tortured. All-in-all, this is the single darkest mark on the university of which I am aware, and I am aware of a number of events since the Vilas debacle that are examples of a profound deficit of ethics and honesty. There are still Vilas Zoo monkeys in the UW monkey labs. 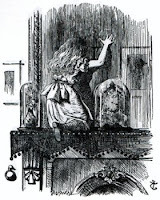 I didn’t notice when I slipped through the looking glass; I must have been asleep when it happened; I didn’t notice at first how surreal things were becoming, but now I can’t deny that I am wandering in a fever dream. I am delirious. When I was younger, healthy and the world was rational, things made sense. 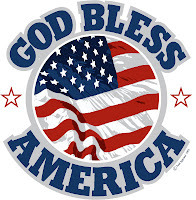 Americans were the good guys. We were the sworn enemies of dictators that maintained secret prisons and whisked people off the street and tortured them. Back when things made sense, veterinarians helped sick animals and doctors helped sick people. In my delirium, I read about doctors who expose sick poor people to full body blasts of radiation that they know will lead to their pain-wracked vomit-filled deaths. Veterinarians inject deadly diseases into animals and write scientific papers documenting their illnesses and agonies. And it is our public universities that host these fiends and publicly laud their “scientific” fiddlings. This morning I read a story in a local paper about a scientist who is preaching meditation for children as a way to foster mental health. His name is Richard Davidson. He was named by Time Magazine last year as one of the country’s 100 most influential people. He’s good friends with the Dalai Lama, the living incarnation of the Buddha of Compassion. “[Richard] Davidson says research at the UW and elsewhere shows that contemplative practices cause ‘changes in the brain that promote empathy, compassion, increased concentration.’” Kid contemplatives: UW neuroscientist's project aims to give middle-schoolers tools of “mindfulness” and meditation. Capital Times. 11/08/2007. Rhesus monkeys and humans share similarities in social and emotional behavior, and rhesus monkeys express psychopathology similar to that observed in humans…. 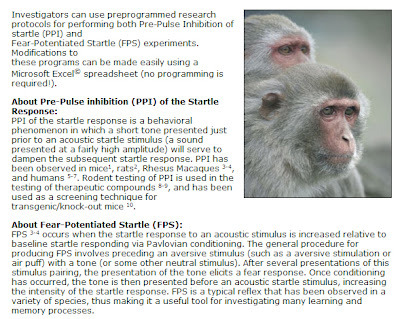 we have been using rhesus monkeys to characterize fear- and anxiety-related behavior and physiological responses…. In previous work, we described the adaptive behavioral and physiological responses that are associated with fear and anxiety in rhesus monkeys…. Eighteen males underwent lesioning procedures at an average age of 34.9 months. Sixteen unoperated male controls were used for comparison and at the beginning of the study were on average 34.6 months of age…. Using standard aseptic surgical techniques, the animals were mounted in a stereotaxic apparatus (David Kopf Instruments). The skull was exposed, and the skull opening was made above the intended lesion site as determined from the MRI procedure. Between 2 and 10 injections of 1 µl ibotenic acid (1 mg of ibotenic acid hydrate/100 µl of PBS) were made to lesion the CeA. Ibotenic acid is a neurotoxin derived from Amanita (BioSearch Technologies, San Raphael, CA). 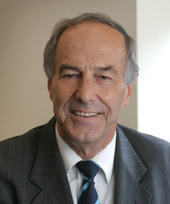 Davidson’s co-author, Ned Kalin, is the chair of the University of Wisconsin School of Medicine’s Psychiatry Department. Before I became feverish, in the rational world I remember, psychiatrists spent their time trying to help people with mental illnesses. When I was sane, Buddhists were people who were exceptionally kind. I remember reading a lesson on loving kindness that was supposedly uttered by Shakyamuni – the historical Buddha. It’s called the Metta Sutta. In my fever-dream topsy-turvy world, a close friend of the living embodiment of the Buddha of Compassion can say: “[W]e have been using rhesus monkeys to characterize fear- and anxiety-related behavior,” and people ask him for advice on teaching children to be compassionate. And, in my surreal world, the living embodiment of the Buddha of Compassion himself is a big fan of gourmet meats and a big supporter of sticking electrodes in monkeys’ brains. I’m not too sure where to turn for help. Maybe I should have my water tested; maybe the CIA is spiking it with LSD. Animal Liberation spokeswoman takes a bite out of UCLA animal testing. The North American Animal Liberation Press Office is a legal, above-ground organization that receives, clarifies and releases to the media the anonymous communiques received by underground activists who carry out illegal direct actions in defense of animals exploited and abused by individual and industry profiteers. The NAALPO is unaware of the identities of these activists and cannot predict or control when, where, how or whether they will strike. One might say that we speak for those who cannot — and for those who dare not. 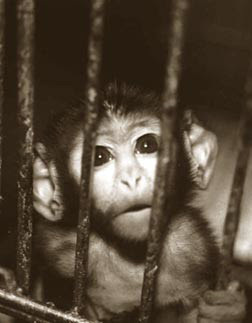 Vivisection is simultaneously an animal rights and a human rights issue. Contrary to Edythe London's claim in her recent Op-Ed article "Why I use laboratory animals," testing treatments on animals and applying the results to humans is the greatest confounding variable of all! Data from one species cannot be extrapolated to another with more than 5% to 25% accuracy (note that simply flipping a coin would yield 50%) and that explains why no cures come down the pike for decades. It underlies the multiple thousands of consumer injuries and deaths every year from adverse reactions to drugs tested "safe" in animals and, conversely, causes potentially beneficial drugs tested "unsafe" to be discarded. Vivisection accomplishes nothing more than to gratuitously torture animals and retard true advancement in human medicine. 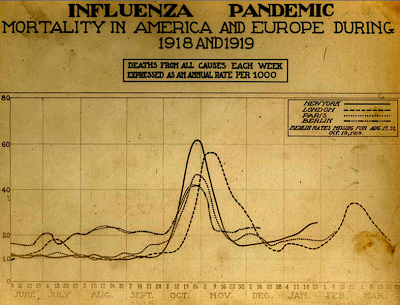 In sum, it is both immoral and scientifically fraudulent. UCLA squanders hundreds of millions of hard-earned taxpayer dollars to turn monkeys into tweakers while drug rehabilitation centers founder for lack of funds. Addiction is an area of inquiry that should lend itself admirably to human clinical studies. To understand substance abuse, investigators must examine and address the psychological, sociological, economic, political and other demographic parameters underlying a uniquely human inclination. Animals in the wild do not volitionally intoxicate themselves with psychotropic chemicals — and those in labs forced into artificially-induced dependence cannot communicate their experiences. Imagine the benefit to society by intervening through education and counseling before the prospective addict makes the fateful decision to try a drug. Some of the millions awarded to UCLA to hook primates might be redirected toward those more laudable endeavors. While I have no love for the tobacco industry, I have to point out that smoking is completely elective. We have known for years that smoking induces chronic obstructive pulmonary disorder and lung cancer, yet we are unwilling to accept personal accountability for conditions that are unequivocally the result of our own unwise behavior. Cardiovascular disease, cancer and stroke are all on the rise. While a certain percentage may be due to heritable factors, much, if not most, is undoubtedly the consequence of eating animals. Our dentition, salivary and stomach acid composition and intestinal anatomy were designed for the ingestion of plants. 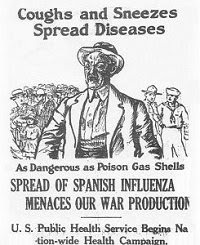 Our air, water and soil are saturated with contaminants, yet the vivisectionists continue to hoodwink the gullible public into believing that we have to torture animals to find cures for ailments that can be mitigated or averted with more appropriate lifestyle choices and better environmental stewardship. As a Jew, I cannot comprehend how someone who claims to be the child of Holocaust survivors can participate in a holocaust against other sentient beings. With London's reported background in psychiatry, she should be fully cognizant that animal abuse is the hallmark symptom of psychopathology. History strives repeatedly to teach us lessons that we stubbornly refuse to learn. In order to achieve its objectives, every social justice movement has ultimately had to resort to violence against the oppressors or their property. 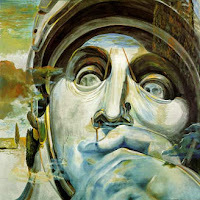 When legitimate grievances go consistently unheard, the attendant frustration expresses itself with escalating vehemence. The Sons of Liberty tossed 300 chests of British tea into the Boston harbor. The suffragettes employed arson. It took a civil war to end slavery and a world war to dismantle the Nazi concentration camps. The Animal Liberation Front adheres to a nonnegotiable policy that no life, human or animal, be harmed during an action. It seeks to liberate animals directly from the clutches of their abusers or engage in economic sabotage against those abusers. The purpose of the former is self-explanatory; the motivation for the latter is the unfortunate recognition that it is the only means to engage with those whose cognitive and empathic shortfalls render them otherwise unreachable. 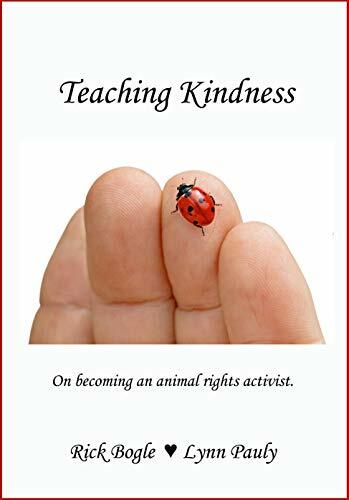 Activists who risk life, limb and liberty to stand up for sentient beings who cannot speak or act in their own behalf are unsung heroes and must endure the barbs of others who lack courage and moral fortitude. But they know the animals have it much worse, and that realization impels them to continue the battle for creatures whom society would arbitrarily place outside the circle of moral compassion and beyond the reach of effective defense. Lindy Greene is the North American Animal Liberation press officer.